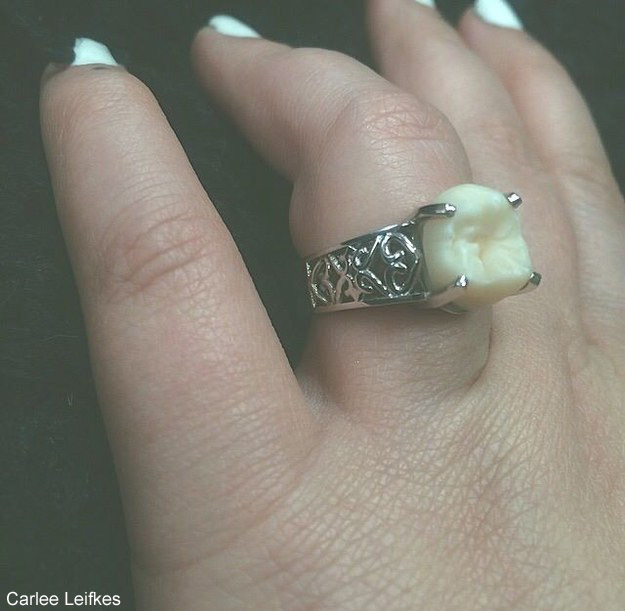 A wisdom tooth engagement ring is dividing opinion all over the internet after a couple from the USA shared their unusual idea with the world. 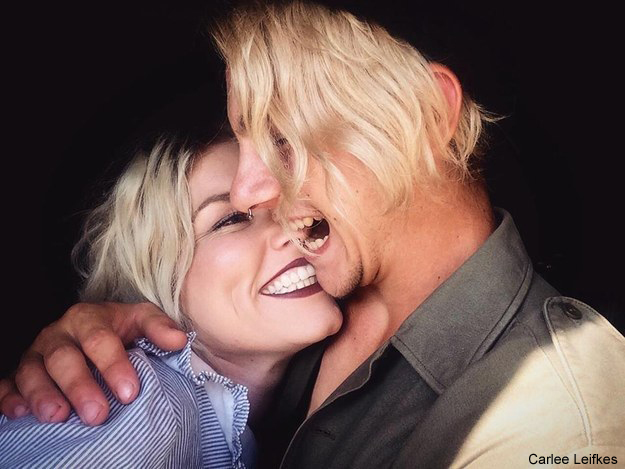 Carlee Leifkes and Lucas Unger, who like in California have, “never been traditional” and decided together last year that they wanted to do something different for a ring when they got engaged. Lucas had his dad mail him his wisdom tooth, which was removed when he was younger, and then took it to a jewellers to see if they could make a ring out of it. He then got down on one knee and presented Carlee with the wisdom tooth engagement ring in front of her friends and family at Halloween last year. The couple don’t intend to be traditional for the wedding itself either, with the pair planning a Vegas wedding where Carlee will wear a pink dress and they will be married by an Elvis impersonator.